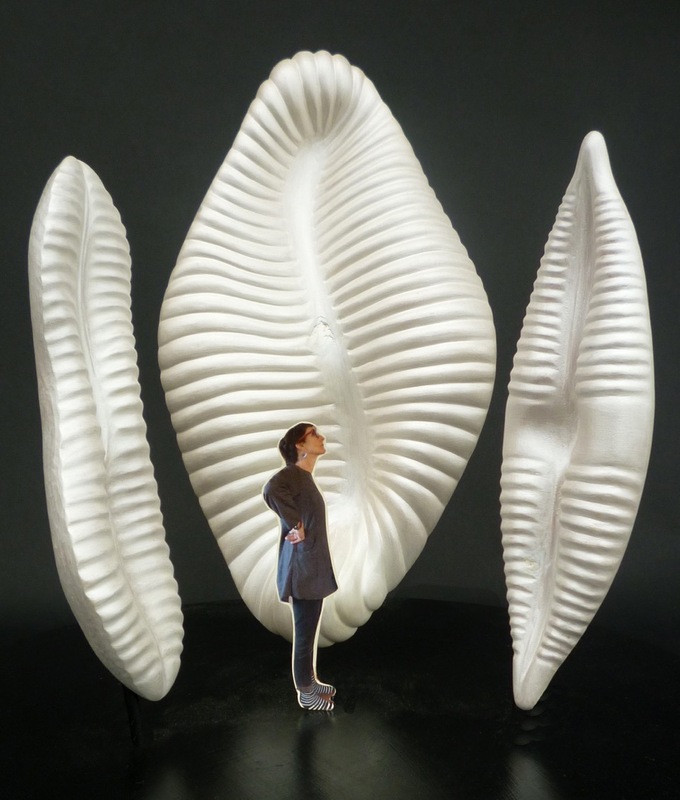 I create models of potential public installations, with myself inserted to give a sense of scale. One can easily imagine the enormous importance of plankton when looking up at its monumental forms. Educational Materials: Several playful approaches to plankton are in development. Because their shapes and characteristics are so charismatic and fascinating, the topic an easily become a popular cultural icon and fun to explore in countless ways. All of the organisms which I have studied, viewed under the microscope and carved, can be made for purchase. Future editions in bronze, resin and other materials will give these elegant forms the opportunity to be replicated and the message of ocean and plankton awareness spread far and wide.